I haven’t yet found this online, because it just came out this morning, but the 9th Circuit has reversed the – sorry for sounding shrill here, but it’s justified – egregious and embarrassing Tax Court decision in Altera v. Commissioner. In Altera, the Tax Court held – unanimously! – that the IRS exceeded permissible administrative discretion when it amended its transfer pricing regulations to make them less of a tool for profit-shifting to tax havens than they had previously been. The issue arose under an election companies have to use cost-sharing agreements with their foreign affiliates to profit-shift, and the taxpayers were insisting that the state of the law required that they be allowed to pretend that incentive compensation they paid to their own employees was irrelevant and, in effect, cost zero. This was based on a misleading analogy to how companies at arm’s length act when they are engaged in actual cost-sharing and (typically) each have their own incentive compensation arrangements. It also was based in part on embarrassing expert testimony to the effect that incentive compensation should be viewed as costing the company zero. 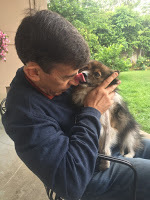 Not to repeat it all, but I discussed why the Tax Court decision is so bad here, and an amicus brief to the 9th Circuit, lead-authored by Clint Wallace, that I signed here. So it’s great that the Ninth Circuit has now reversed, based on a very thorough discussion of the relevant legislative and regulatory history, along with Congress’s and the Treasury’s underlying policy concerns, and adopting arguments very compatible with (and similar to) those in our amicus brief. The Tax Court decision did not merely permit taxpayers to game the system in a manner that is entirely contrary to the logic behind cost-sharing (which is itself flawed, but better than having absolutely no constraints). It also seemed to reward an aggressive taxpayer strategy that I was concerned we’d see more of in the future. (And we still may.) This is to spend lots of money making lots of bogus arguments in the notice and comment phase of regulatory issuance, and then to get the regulation struck down as “arbitrary and capricious” unless its preamble is written, not to inform taxpayers and advisors as has been the general past practice, but instead as a litigating document that responds carefully and fully to each argument made in notice and comment, no matter how meritless and frivolous. The Ninth Circuit is to be commended for getting it right. Now, it’s true that it relies on the Chevron standard for reviewing administrative regulations, which may well be on the Supreme Court’s chopping block in the near future. But in this particular case, it shouldn’t matter, as the IRS regulation at issue, concerning the treatment of incentive compensation in cost-sharing arrangements between affiliates, was not only a reasonable interpretation, but clearly the most reasonable interpretation, and indeed perhaps the only reasonable one. UPDATE: The 9th Circuit’s Altera decision is now available here. SECOND UPDATE: Leandra Lederman blogs about the decision (including key administrative law aspects) here. In the health club locker room yesterday, a couple of folks nearby were talking about their jobs, which for the young NYC crowd that mainly frequents these places always seems to involve Internet startups and the like. One of them apparently works on fund-raising for real estate projects, and he said the “Trump tariffs” have been a disaster for this business, causing multiple projects to be deemed economically unfeasible. He also said something about an 18-month timeline for the projects to get going, so I wasn’t sure if the real estate construction slowdown that he identified is being driven by what’s happened already, or by what might happen next. 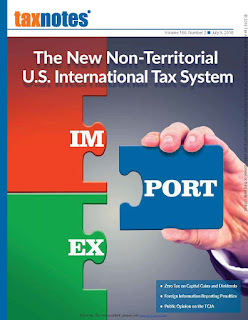 Last week, Tax Notes published part 1 of my article, The New Non-Territorial U.S. International Tax System, and this week it published part 2. Part 1 discusses normative frameworks for international tax policy, while part 2 discusses the BEAT, GILTI, and FDII. As per the above photo, part 2, which is presumably of wider practical interest, made the cover. Consistently with editorial permission, I’ll be posting the entire article on SSRN on July 30. Last Wednesday I gave a talk at Oxford Academic Symposium in re. my new international tax article. Slides are available here; they’re basically a shortened version of my Vienna slides from a couple of weeks previously, the relative brevity reflecting that I had less speaking time. Meanwhile, Part 1 of the paper came out today in Tax Notes and Tax Notes International. Part 2 will be out next Monday (July 9), and I’ll be allowed to post the paper (both parts) on SSRN on July 30. It was nice to see old friends at Oxford. 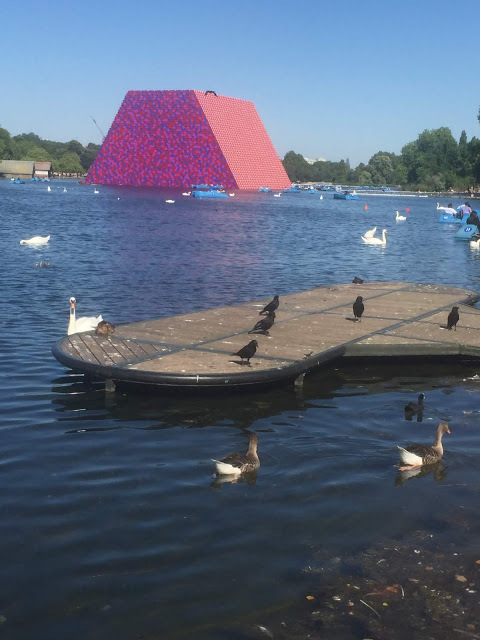 On my way back home, I stopped briefly in London and got to see Oscar Wilde’s An Ideal Husband, the Mel Brooks Young Frankenstein musical, and Christo’s installation in the Hyde Park Serpentine, which you can see here. I’m glad about the Supreme Court decision in South Dakota v. Wayfair, allowing states to require Internet retailers to collect sales taxes. Indeed, I was among the tax law professors who signed the Daniel Hemel-penned amicus brief urging this result. The ostensibly constitutionally mandated effective tax preference for out-of-state retailers was distortionary and lacking in any good rationale given the ease of collecting sales taxes via modern technology. One could see the Quill/Wayfair issue as helping to illustrate my old point that tax cuts or tax preferences can make government effectively “bigger” even if they reduce tax revenues, and thus that their elimination may effectively make the government “smaller.” At least when we are talking about fiscal matters – let’s leave aside for now, say, the issues around government agents who put children in cages – a meaningful, rather than formalistic, view of the “size of government” should be based on its distributional and allocative effects, relative to some baseline. (Although the choice of baseline is admittedly a vexed issue.) Thus, suppose that in Case 1 the government “taxed” $X from you on Day 1 and gave the same amount back to you (as “spending) on Day 2. Versus, in Case 2, it took half as much from you on Day 1 but either gave it to someone else or spent it on subsidies for the coal industry. I’d say the government is “bigger” in Case 2 than Case 1, even though the formal measures of “taxes” and “spending” are lower. Giving Internet sales an effective exemption from state sales taxes, against the background of general under-collection of use taxes, could be viewed in tax expenditure terms as analogous to taxing all sales and then giving the money back to Internet sellers as a special outlay on their behalf. The fact that the effective exemption arguably wasn’t intended as a subsidy is immaterial if the question we are asking is simply what level of distortionary economic effects result from state sales taxes. These effects may now be lower, and if the states want to have the same net revenue as before they can do so by lowering their rates. If they choose increased revenues, this might conceivably lead to “larger government” in some dimensions, but there would still be an offset by reason of the greater neutrality as between retailers. Yesterday we got back to NYC after spending just over a week in Vienna and Czechia (Prague and Cesky Krumlow). These days it’s nice to be away, especially in cities that have beautiful architecture and well-functioning transit systems (if less varied food than NYC), not to mention that being abroad permits one to take a step back from the constant blaring of horrible US political news. I really quite like being in Europe, even if inevitably less at home there than in my native country. It was vacation, except for a talk at Vienna University on my forthcoming international tax paper, at which I learned that, since in a sense it’s two papers (international tax policy lessons of recent years, plus analyzing 3 key provisions in the 2017 act), neither of which is wholly uncomplicated, it’s basically impossible for me to present the whole paper unless I have at least 45 minutes. I did indeed have that much time on this particular occasion. But the next few times I present it, I’ll probably have only 20 minutes, so it appears that I’ll need to jettison one half or the other almost entirely. Someone (aka Gary) appears to be glad that I’m back. 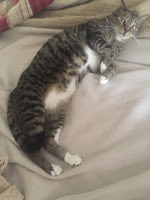 Luckily, he doesn’t know what I was doing while away.